Jaguar is planning a big reveal on the 28th of June, one that is rumored to be the most powerful Jag to date. 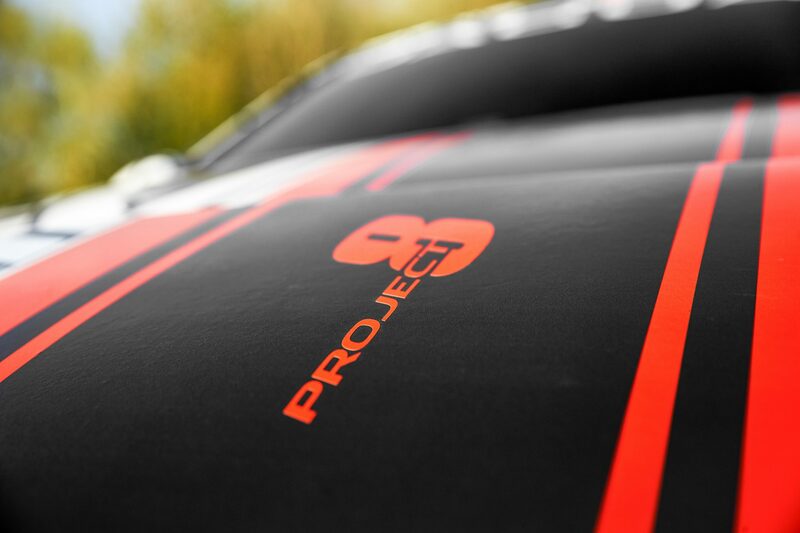 Surprisingly this ‘Project 8’ will not be using the popular F-type platform to harness, instead electing to use the new XE platform. The XE is one of the better-looking saloons to come out in recent years. While it didn’t wow with massive performance it did hold it’s own, giving the entire XE platform a well-rounded package. The obvious choice has always been to go for the supercharged V-6, which unfortunately only comes with an 8-speed automatic. You can get the XE in either a rear-wheel drive configuration or you can elect to get the all wheel drive. But now Jaguar has decided to uncork the little XE, and to do so they sent it over to their Jaguar Land Rover Special Vehicle Operations (SVO). Jaguar’s SVO brand is essentially their in-house tuning program. Every manufacturer has one, and they all make them try to sound super special, different than the rest. In reality, they all do the same thing. They take an already designed and built production car, and make it go much faster. 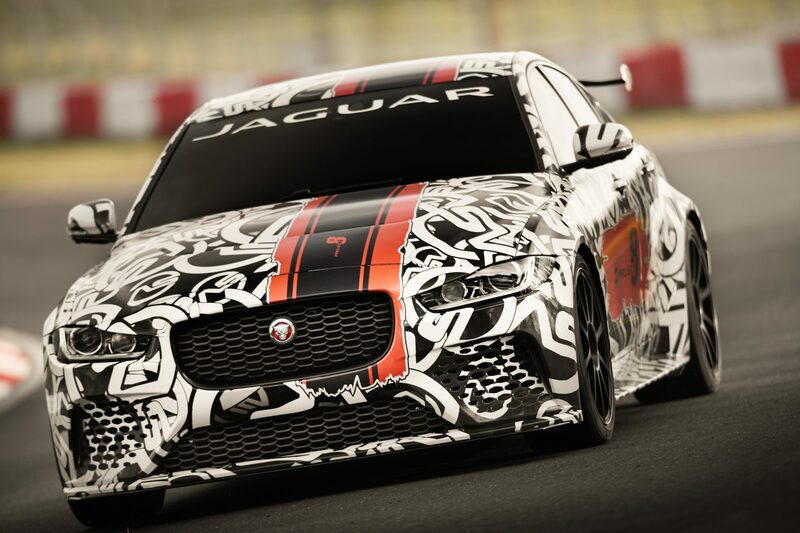 In the case of the Project-8 XE SV, it is set to become the most powerful Jaguar ever produced. It’s an exciting concept. Not only will it out power its own brethren, the F-type SVR. But this will put the XE SV into contention with the Alfa Romeo Giulia Quadrifoglio, BMW M3, and Mercedes AMG C63. 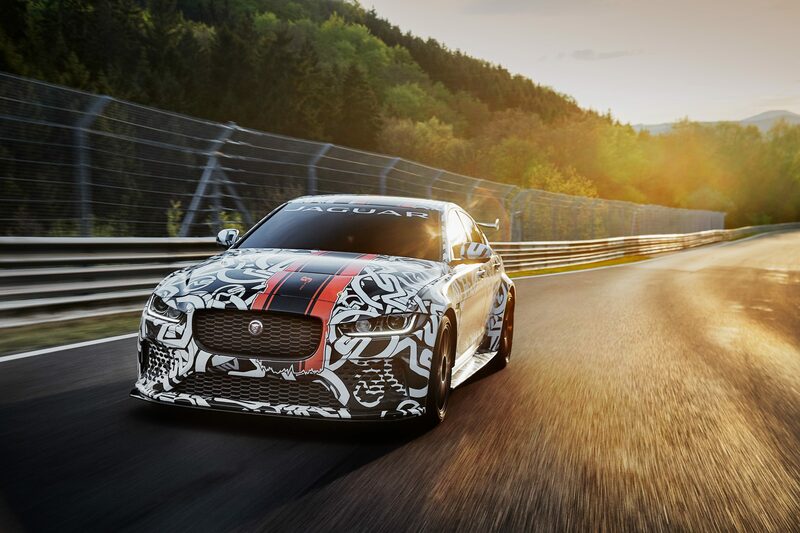 The XE SV will do this all with a 5-liter V-8 that is churning out a beautiful 593-horsepower. That power output will likely put the XE SV towards the front of the pack, impressive stuff from the British-based manufacturer. If that weren’t enough, the XE SV will also come standard with all-wheel drive. No transmission has been revealed as of yet, but more details are set to come out at the end of June. Even with Jaguars clever camouflage, it’s still apparent that the XE SV has undergone an extensive overhaul to its exterior styling. 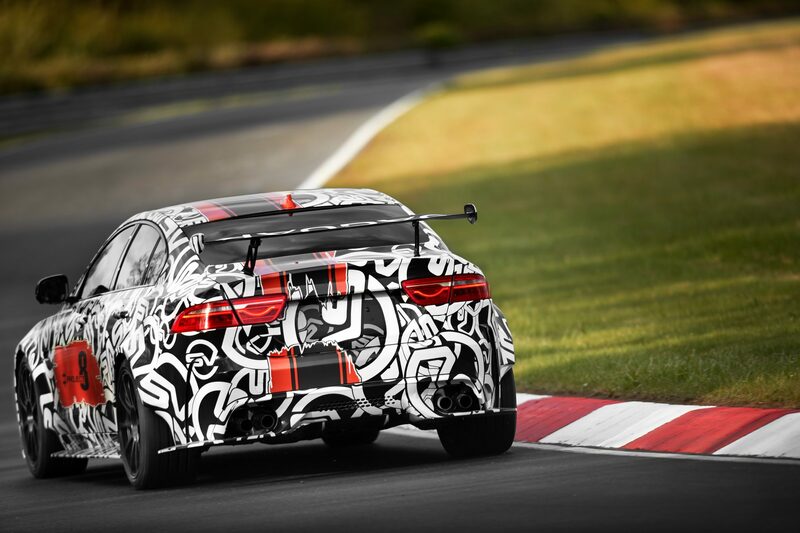 The addition of more aggressive aerodynamics will likely help the XE SV fit into the muscle saloon crowd. The whole camouflage treatment is meant to keep the eyes of the general public from seeing anything before they were meant too, yet this Jags camo is so good looking I am desperately hoping it becomes one of the color options. It looks like a car attending the Gumball 3000, not a test car. 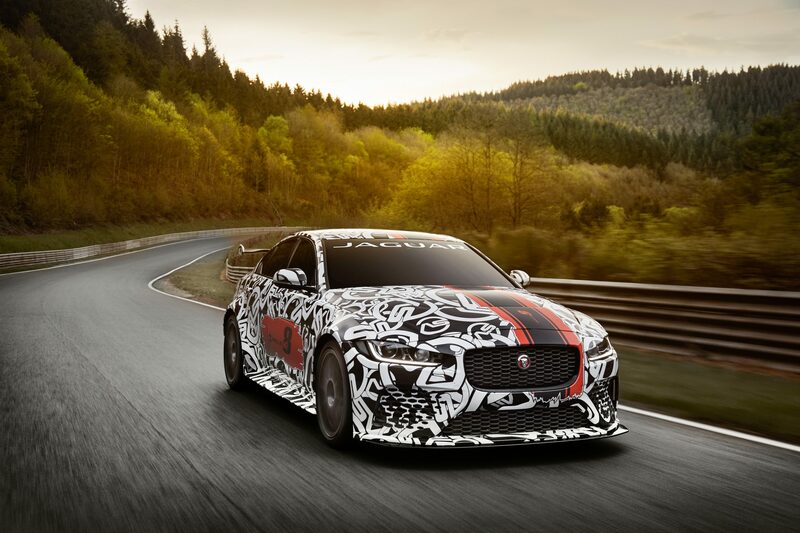 The information is still pretty sparse, but one worthy bit of news is that the Jaguar XE SV Project 8 will only be produced in a maximum of 300 units. That is a properly rare car, making the appeal even greater. For now, we unfortunately will have to wait until the 28th of June before we are graced with any more info.